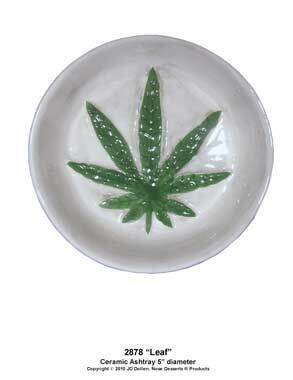 Ceramic Hemp Leaf Ashtrays Collection: Raised Relief-High Fired, Gloss Glazed, is made of high quality ceramic. Colorful hand painted and decorated on raised-relief highly detailed designs. 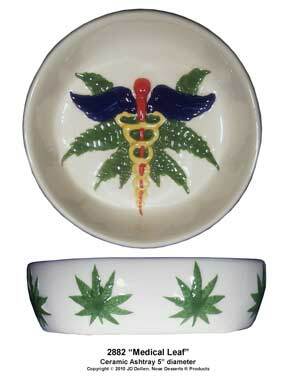 Dimensions: 5" Diameter x 1-1/2"H. WEB SITE ORDER NOW & $AVE.